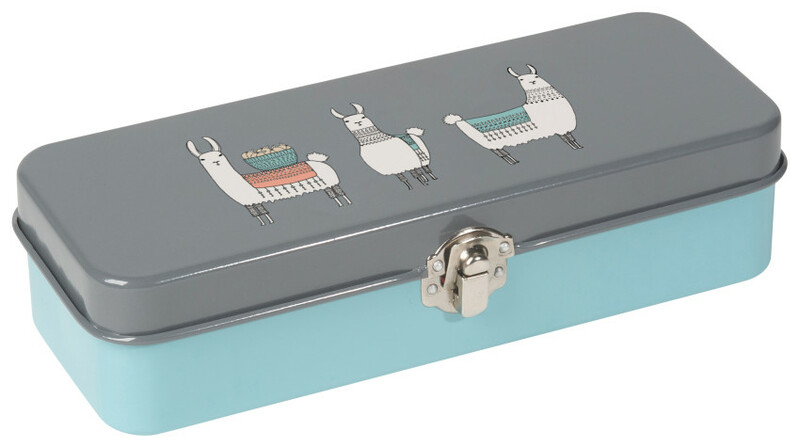 Keep your favorite pens, pencils and accessories in one trusty place. Secure the lid with the durable clasp to keep your treasures safe. Three lovely llamas bedecked in woven blankets carry cargo atop their backs.